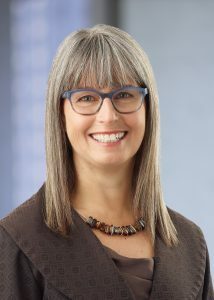 Prior to joining the Vector Institute as VP Health Strategy and Partnerships in November 2017, Alison’s roles included: Director, Strategic Partnerships at the Institute for Clinical Evaluative Sciences (ICES), Director of the Planning, Research & Analysis Branch at the Ontario Ministry of Health & Long-Term Care (responsible for up to $60 million of annual health research investment) and Manager of Performance Measurement & Results at the Ontario Ministry of Research & Innovation. From 1993-2001 she worked in international pharmaceutical R&D at Eli Lilly, Astra Pharma and Genpharm Inc. Alison holds an Honours Combined BSc in Biochemistry and Chemistry (McMaster), a PhD in organic chemistry (Western University) and is Assistant Professor (status) at IHPME. She is among the first 5% of people to obtain Project Management Professional (PMP) certification internationally, and led the development and delivery of two University of Toronto courses focused on project management for research.